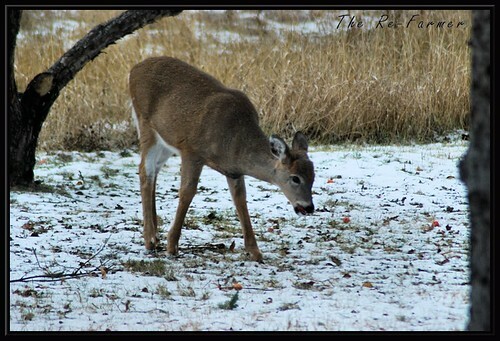 The smaller of the pair of deer that come by regularly now, trying to eat a frozen apple. I’ve knocked down as many of the frozen apples as I can reach with the pole I found. From the branches I’ve been finding on the ground, I think they’ve been trying to reach up to them, and pulling twigs down in the process.